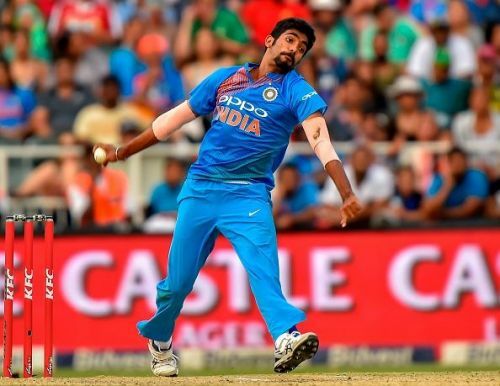 Impressed with the accuracy, pace, and skills, Allan could not resist heaping praise on Jasprit Bumrah, who was a thorn in the Proteas flesh throughout India's tour over there. 2016 was the year it all changed for Jasprit Bumrah. Making his ODI debut against Australia, he claimed two wickets for just 40 runs. Three days later, he made his T20 debut as well, against the same opponent. It was the time when India was looking for a death overs specialist, and they soon realized that Jasprit was perfect for this job. After becoming a vital cog in India's limited overs team, Jasprit proved his mettle in tests as well, claiming 14 wickets in three matches in his debut test series against South Africa. He continued dominating batsmen in England and Australia as well, claiming 14 and 21 wickets in both countries respectively. He played a vital role in India's first ever series win down under. 2018 saw India touring three countries, and winning five of the nine series in total. And it was Jasprit Bumrah who was captain Virat Kohli's go-to man in all these tours. Bumrah delivered whenever the team needed. He played the same role for the Mumbai Indians as well. In a year, where MI struggled to find the rhythm, it was only Bumrah who delivered and saved the team from humiliation in most games. His fabulous year saw him bag numerous titles. He is now on the top of the ICC bowlers' rankings. He won the Indian Sports Honours Men's Breakthrough Performance of the Year Award. In addition to this, he also won Sportstar Aces Sportsman of the Year (Cricket) award, which he shared with Kohli. Bumrah's outstanding journey might have been a speed breaker for other bowlers. Let us take a look at some of those talented players, who might be affected due to his rise.